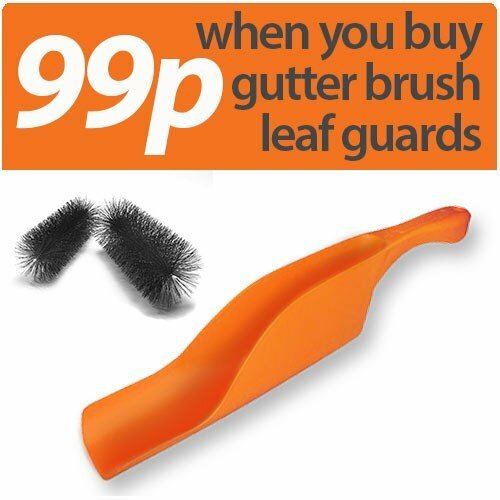 This slimline GutterScoop™ will slide along inside the guttering and scoop up anything in its path. Because of its size and its extended, slightly curved lip it collects leaves, moss and general debris quickly and easily. 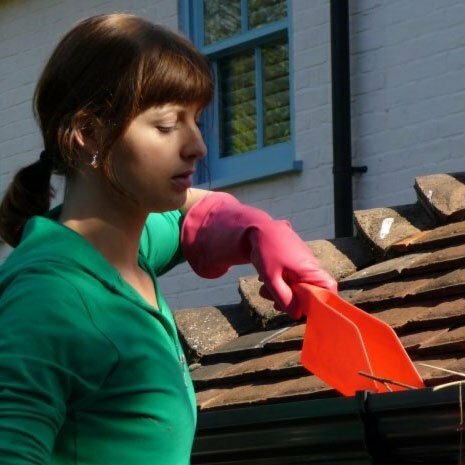 Picks up a lot more material in a single scoop than, for example, a garden trowel and keeps the sludge from falling through gloved hands, which could otherwise stain your brickwork or white render. Squeeze the sides of the scoop together slightly to get the scoop out of the gutter easily without knocking any of the collected material either back into the gutter, onto the house or paving/decking or driveway below. Makes a tough cleaning job quick and easy!